This looks like fun. What kind of racing do you plan on doing? Where in Ohio are ya? I want to do a few HPDEs first then get licensed to do NASA time trials. I occasionally do autocross for fun too. im in columbus, moved here in january. and actually building a 240z with the same plan, hpde then time trials, got a ways to go on it though. Hahaha! I'll give you first dibs when I upgrade! 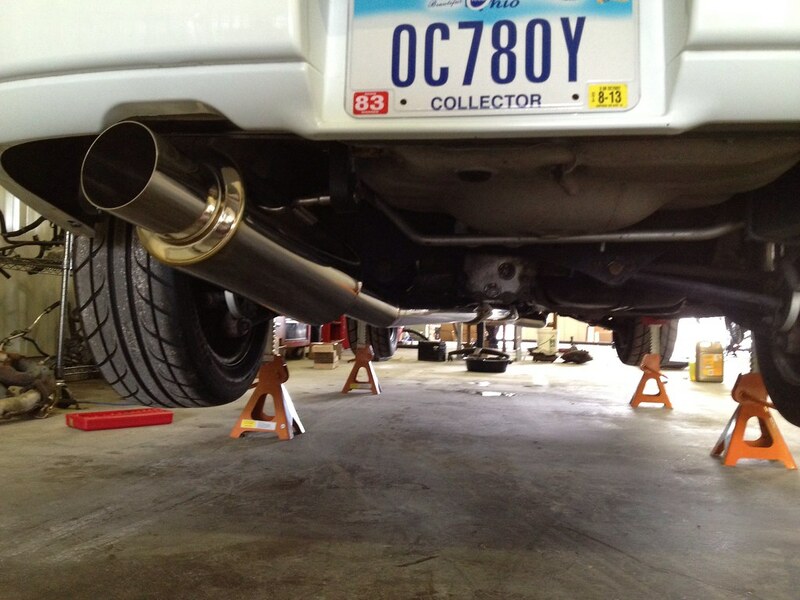 Here it is with the exhaust installed! Last edited by noTe; 12-13-2013 at 05:57 AM..
"with all the money you spent on this you could have bought a sti"